The fairy story of the Princess and the Frog ranks as a time-honoured favourite, especially among younger children. The tale of the beautiful princess losing her golden ball in a pond, only to have it retrieved by a jovial but mysteriously friendly frog who is finally revealed as a handsome prince, is both simple and enchanting. Such enchantment is delightfully expressed in this pleasing dance production by the London-based Let’s All Dance company, appealingly choreographed by director Orit Sutton. Staged on a simple set with only a mock-up pond and a rose tree, the work is not in the modern dance idiom but is an authentic mini-piece of classical ballet. The genre is neither compromised nor dumbed down for the very young audience (advertised as 2+) – the two dancers adhere totally to its norms, finely executing leaps and small steps, jumps and turns, pirouettes and pas de deux. 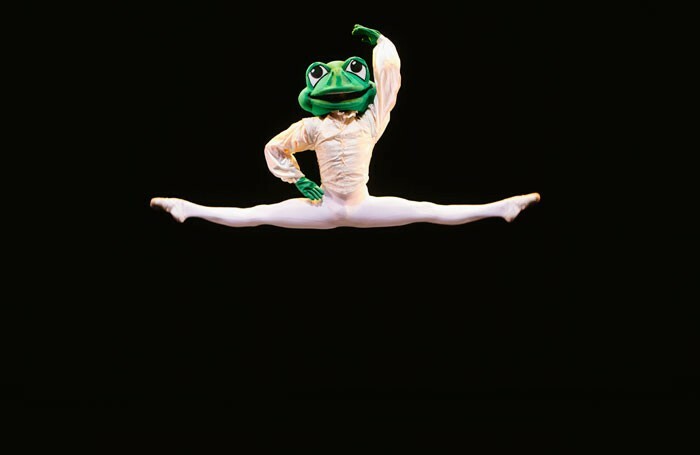 Maria Grozova as the Princess, every inch a prima ballerina in pink and gold-flecked tutu, enters with focused and sensitive professionalism; Stephen Dole as the Frog dances with robust energy in his splendid green mask. Young and old are enthralled by the show’s simple magic, but at only 35 minutes it is surely too short. Even the toddlers would have appreciated several minutes more. They are, though, given 10 minutes “photo time” with the dancers.